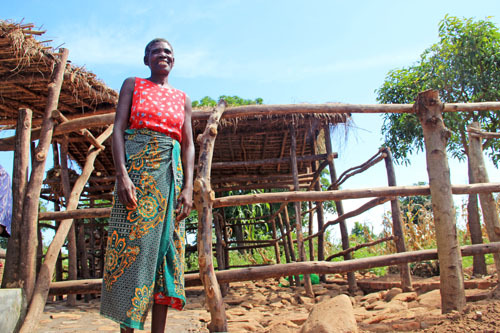 Before I get to today’s show and tell links, I am so excited to give you an update on one of the farmers I met in Malawi last May when traveling with ONE and Heifer International. Rhoda invited us to her home on the last day of our visit. 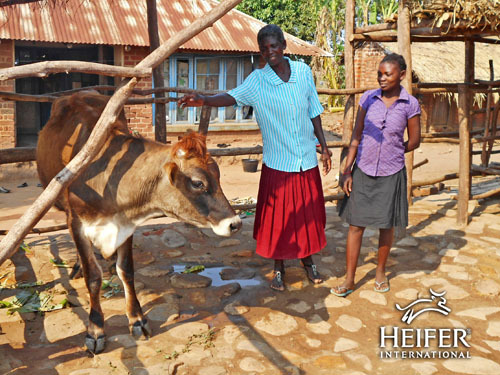 She was in the process of preparing a pen to receive a cow distributed by Heifer under the Malawian government’s FDIP program. When we met the delightful and beautiful Rhoda, her pen was in the middle of being built. Here is a picture of Rhoda back in May, getting ready to receive her livestock. 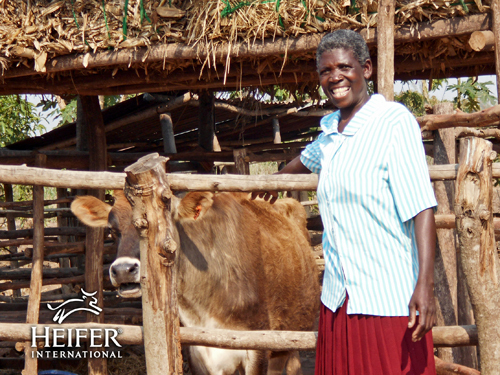 We learned this week from our friend Mwai, a Heifer employee in Malawi who traveled with us, that Rhoda along with 43 other families in the southern district of Thoylo received their animals! Rhoda’s cow is from South Africa and she has named it Favor. Rhoda said that she feels it is by God’s favor that she received this animal from Heifer International. I’m certain I wasn’t the only one to tear up upon reading the great news. I can’t tell you how awesome it is to see her with her long-awaited cow! Today I have two recipes to share with you that I created for Babble. I am really happy with how they both came out! 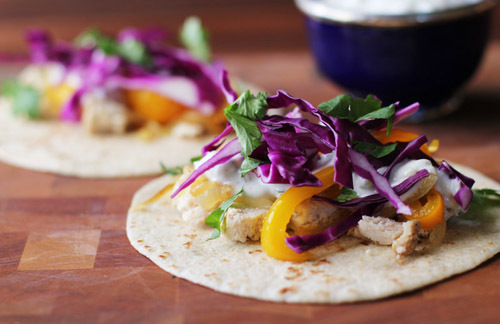 Tandoori Tacos: I couldn’t help myself, Indian Burritos were too fun…so now, Tandoori Tacos! They taste awesome and they are beautiful, too. 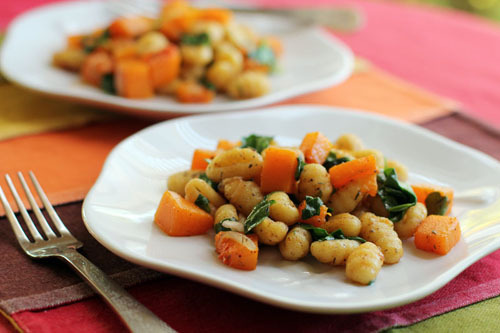 Brown Butter Gnocchi with Butternut Squash: This perfect-for-Fall dish would make for a good vegetarian dinner or even a fancy side dish. And you only need 1 skillet to make it! Before we go, if you are looking ways to send help and support to the people of South Carolina as they deal with disastrous flooding, my friend Shani Gilchrist, a writer from South Carolina, shared the following links. In addition to donations, let’s send lots of love/happy vibes/prayers their way! Water Missions International: Current Disasters Response: This organization is in Charleston helping to provide water purification systems. Citizens in Columbia are still without clean water. Citizens and volunteers are at risk of becoming ill by drinking or coming in contact with contaminated water due to contaminants picked up during the flood and backed up sewer lines. As you all know, Show and Tell is for everyone, so please feel free to share links to your own discoveries/finds/recipes/blog posts/anything! I love that smile as she shows off her cow. What a great program. I was going to say the same thing as Barb…..look at her smile!! awesome program! Hi Jane – thank you so much for mentioning Water Missions International’s work in South Carolina right now. Also love Rhoda’s joy with her cow Favor! such a perfect name. you are most welcome! thank you for your work!! !